When life hands you lemons, you make lemonade. if you also have some juicy strawberries on hand, even better! After a cranky-pants morning where all the things seemed to be going sideways, I decided to take a break and come home to do what I do best: WORK. (or, werrrrk) Determined to make the rest of the day the best of the day, I set out to make something beautiful, delicious, and pretty darn healthy too. Behold, Strawberry-Honey Lemonade! 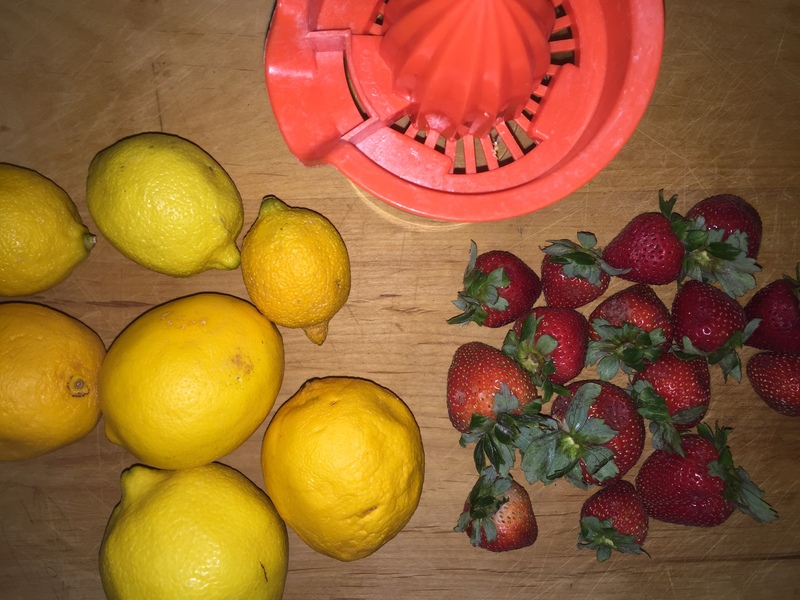 Place the strawberries, honey, 2 cups cold water, and lemon juice into a blender. Pour into a large pitcher with 4 cups cold water, stir it up, and taste… need a little more honey? Okay!